One of those Osprey hardback compilations. 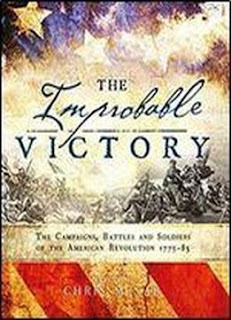 This was produced in conjunction with the opening of the new AWI museum at Yorktown. Be warned, there are a couple of editing issues but overall it is a good primer for the period. Another year end and another series of projects that are as yet unrealised. I am not being downbeat about this - it is a common enough state of affairs within the gaming fraternity - rather I am actually more positive and enthused about my various projects. Why is this? I think the most obvious reason is my change in work. I am now working with a much earlier finish than previously which means I am home earlier. I would be less than truthful if I said that I have been hugely productive in this extra time I have available during the week but it is certainly better to have it than not. It has meant that I can spread painting out rather more efficiently working on the 'little and often' basis. I think I have been guilty of abusing the novelty somewhat in that getting home earlier (around an hour and half) has been spent doing very little really, just savouring the time and pleasure of having dinner with my wife rather than reheated and dried up in the microwave! I need to be a little more disciplined about my time management - which is hugely ironic given my current profession - in order to get things done. The first order of business (not the business of the First Order...I am going to see the film next week) once we get into the new year will be to organise a proper painting plan. This will mean bringing a selection of painting paraphernalia down from the man cave so as to be readily accessible. Until all the Christmas 'stuff' has been consigned to the loft for another year storage space downstairs is at a premium. In the meantime though, as I am off from close of business today until January 3rd I can make use of the man cave for any painting I have. that means ships of course - the 1/2400th scale collection which I am now going to struggle to get done for the end of the year. No matter, I have enough naval inspiration from the Jutland counter collection to cater for most things. I have a selection of 1/600th tanks and artillery which I am looking to make a start on for use with the Heroscape tiles with the Portable Wargame or possibly Rommel. I will use them in conjunction with the block armies to begin with before I get the appropriate figures tackled. I am still thinking about the best way of painting these but as they are not at the top of the list just yet I have some time to think about this. The whole 1/600th thing will be a big thing for me next year - I also have some aircraft and ships in the same scale - so I want to make sure I get it right from the outset in terms of painting technique and basing etc. Looking around the man cave (which is a little untidy at present - mainly due to Christmas as there are decoration boxes etc. dotted about) I can see a few other projects that will need attention including the 54mm French Foreign Legion and Arabs, 20mm plastic medieval, 12mm plastic Risk 18th century types (for which I have cunning plan - see the picture above and that should give you a clue) and a few odds and ends of Sci-fi stuff. Ready to use is of course the Jutland collection. Actually that is not strictly accurate as I need to punch out the non-North Sea fleets but for the RN and High Seas Fleet I am good to go. There are also the block armies which will be seeing some use - quite a lot of use actually - as there are a number of ideas I am keen to explore using them. The Napoleonic title above was a no-brainer for me - there are a huge number of ideas for smaller scale actions, both afloat and on shore set during the wars against Napoleon in the Mediterranean. This will complement the two titles I have that cover the same general area - Stopping Napoleon and Remember Nelson! - The Life of Captain Sir William Hoste both by Thomas Pocock. I am not sure how I shall tackle this - both from the naval side and the land - but at this stage am thinking along the lines of using Pieces of Eight from Peter Pig. 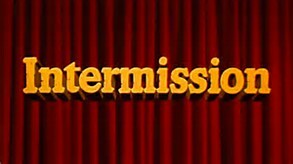 So in closing then, I have plenty to keep me occupied and more importantly, I have the time now to be able to do more than have been. I am feeling pretty relaxed though about it all - which is a first for some time! It only remains then for me to wish you all a very merry Christmas and a peaceful and prosperous new year. One of my ongoing projects is making use of my block armies. These have been used for a wide variety periods ranging from the 18th to the 20th century. 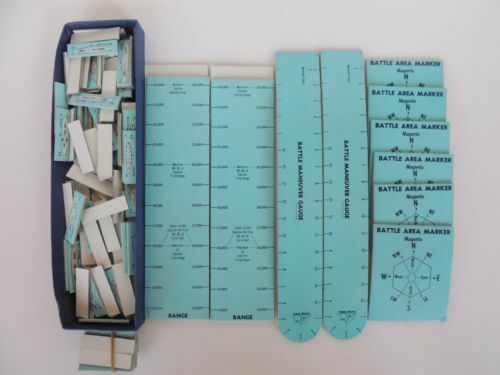 Invariably the games have been Command and Colours derived or else from the Portable Wargame stable and in the case of the latter very much during the earlier phase of its development. As an aside I am embarrassed to say that I have yet to tackle a Portable Wargame since the books came out although I am naturally familiar with the system. All of these games have one thing in common in that 'units' are made up of (usually) 4, 3 or 2 blocks. This has worked well where removal of blocks as a result of combat is the norm. It is well known that the Command and Colours system has a fairly elastic scaling criteria as far as units are concerned and so it depends on the historical scenario being fought to define what the notional scale is. I have no problem with this as I have long since abandoned using any definitive scales for my games. So far so good but the system falls down when you are using Heroscape tiles rather than Hexon. The blocks I use are basically unmarked Jenga blocks cut in two. They are roughly 3cm by 2cm x 1cm and so fitting four of them (a typical infantry unit) on a Heroscape tile is nigh on impossible. I had no such problems using Hexon so perhaps my disposal of the same was a little on the rash side...The only way you could comfortably fit a unit on a Heroscape tile would be to use single block units and mark them in some fashion when they take hits. I have a number of options as to how I can do this so I am not overly concerned at present. I have some very nice two coloured counters (black and white) from a travel version of the game Othello which I will use. The black can represent two hits whilst the white will do for one. Using one block per hex will have the advantage of meaning that having terrain features in the hex will not cause too many issues with a single block unit also deployed therein. The blocks of the good doctorphalanx made from a set of Mah Jong tiles acquired from a charity shop. 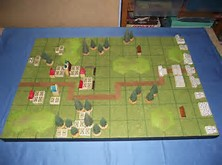 On the subject of blocks and using them for wargames I came across a series of block related posts over at doctorphalanx. For his blocks the good doctor made use of Mah Jong tiles with basic home made labels. I must confess to not having thought of this but the tiles are a useful alternative source. Whilst I am happy with the standard horse and musket blocks I have I am less enthusiastic with the 20th century equipment - vehicles etc. I have used standard NATO type symbols which are OK but, to be honest, are a little soulless when used in a 3D setting. I have produced too may of them to redo the collection so will make do with them as they are. I will be doing something a little different with them though as I plan to use models for vehicles and artillery for the 20th century. These will be the Tumbling Dice 1/600th types. This will mean wooden blocks for the infantry and models for everything else - with the infantry blocks being replaced with figures in due course. This is the plan for the new year and I will need to get some extra bits and pieces to realise this part of the project. I have a few other ideas rolling around for use with the block armies which will feature in later posts but for the meantime I shall be using them as they are on my Heroscape terrain tiles with a single block representing a unit and travel Othello counters for hit markers. Best get some games organised then. After the previous bout of Jutland related posts I figured it would be a good idea to sit back and see exactly where I am with other 'stuff'. Jutland is not dead by any stretch of the imagination - I have a couple of admin related tasks to tackle before I can say it is a done deal. I need to cut out the remaining counters and draw up a play sheet for the map moving part of the system. I will also need to make some copies of the ship damage record cards as well as tweaking the formatting ever so slightly on the tactical playsheet. This is not a show stopper but is one of those things that is a niggle and so will need some attention at some point. 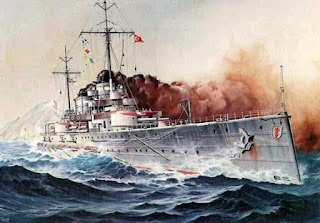 The 1/2400th scale ships will be on their way once again - the next batch (18 x RN 'B' class 4 funnelled destroyers) are based and undercoated although I am seriously thinking about cutting the down the funnels as they seem too tall. This needs to be carefully done! Once these are ready it will then be full steam ahead (no pun intended) with the cruisers and battleships. Next year will see me tackling the 1/600th scale kit in earnest for use with the Portable Wargame and a few other things besides. 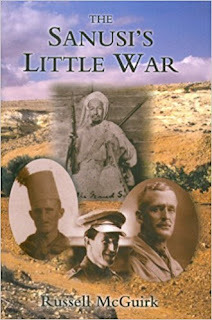 I am thinking of Rommel and possibly Blucher by Sam Mustapha although the latter may be further away than the former. Aside from the ground based action I have planned for this set (WW1 and 2 with a side dish of something colonial) I also have some aircraft to tackle as well. By way of a diversion I also have a whole pile of 54mm French Foreign Legion and their Tuareg opposition to tackle. This will be suitable for use with not only the Portable Wargame but also The Men Who Would Be Kings. 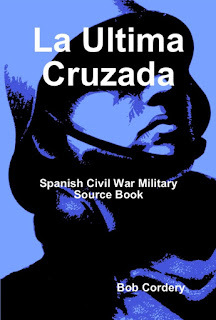 Another twist in the tale was the welcome news that Bob Cordery has released a third edition of his masterful Spanish Civil War wargamers' guide La Ultima Cruzada (see the picture above). I am really looking forward to getting this (it will be a Christmas present to me from me) as I know that Bob has added a lot of new material from the earlier version. I have a copy of the out of print second edition - which I thought was excellent in any event - but I am looking forward to the new version, especially as it is available in hardback as well. The 1/600th scale land stuff could well be used for this period and it will perhaps provide sufficient inspiration for me to tackle the naval side in 1/3000th. 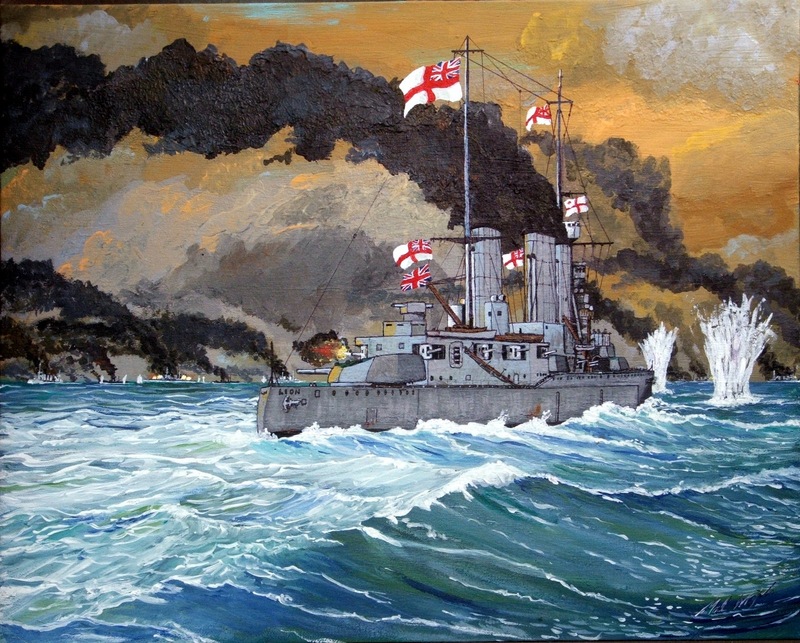 As if to inspire me further I noticed that this morning Bob has posted the following The Smallest Dreadnoughts. The naval side of the SCW is perhaps more interesting in theory than it was in practise but it does have the advantage of not needing much in the way of material. It would be very much a self contained mini project at some point. Finally, I have a hankering to cobble up some HOTT/DBA armies on the cheap which will mean using Risk figures from their Medieval version. These are rather nice and would paint up readily enough. All in all then there is a good selection of stuff for me to be getting on with. Some of the ideas are bigger and more expansive than others and to be honest this list is pitched very firmly 'in an ideal world'. I also hope to get some games in along the way - Jutland naturally but also with the block armies. All in all then it helps to have an idea of what one may do rather than to have no idea of what one can do. 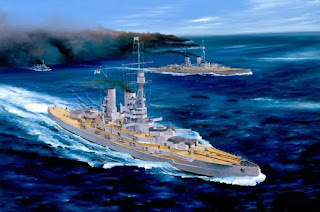 Jutland Part 11: Postscript - "More drama, less accounting"
Avalon Hill's Jutland in all its glory - and not a play sheet in sight! It was a strange evening last night when I eventually returned to Chez Crook and too late to do anything meaningful. SWMBO had one of her headaches (mercifully not frequent but quite debilitating when they do make an appearance) so retired early on leaving the lounge to myself, one of the three cats and the Christmas tree. I resolved to get something done in order to take advantage of having time of my own as, if I am honest, I was feeling pretty flat about matters gaming related in the light of my recent decision re the Jutland project. My decision was made for all the right reasons and I have no regrets but I do have that nagging feeling that Jutland and I will reunite once again in the future - it what shape though I cannot tell. Charles Litka very kindly commented on my last post with some interesting ideas and experiences - especially playtesting the 2nd edition of Jutland some 50 years ago! 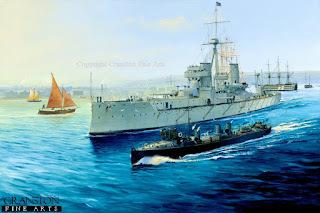 It was a pleasure to read and one expression he used struck me as summing up everything I am trying to achieve in terms of naval wargame rules - in fact I used it for the title of this post (many thanks Charles!). Emboldened by his comment (and others - thanks to Dave and Ken) and with the lounge to myself I decided to finish up sorting out the collection of Jutland related magazine articles and the folder that they now live in. It was a very therapeutic experience and I rediscovered several important pieces. 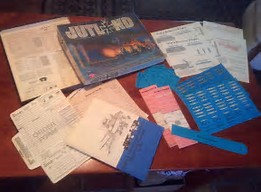 I should mention that I have everything written on Jutland that appeared in the old Avalon Hill General and Boardgamer magazines on a very useful CD that features the same for all of the Avalon Hill naval titles. 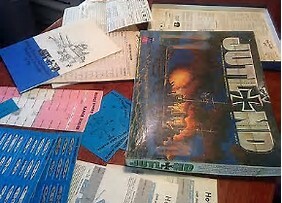 I also own a facsimile copy of the Avalon Hill gamers guide to Jutland. What I rediscovered though was something entirely different. Some time ago (and I wrote a blog post about it) I purchased a whole series of replacement game counters from a chap based in Canada. 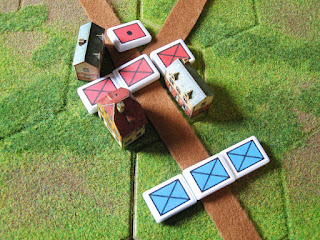 these included replacements for the original game and supporting a series of articles that appeared in the General and the Boardgamer. As well as additional types for the North Sea there are also counters (and scenarios) for the Baltic, the Mediterranean and the Black Sea. 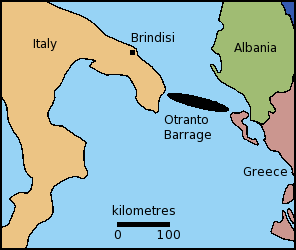 The Mediterranean set is of particular interest as you get the French, Austrians, Italians, Black Sea Russians, Turks and the RN. Not only do you get the ship counters and control sheets there is also a complete set of plot maps for the Mediterranean and a detailed campaign/scenario set of rules. Of particular interest is the use of colliers as well as formation counters for use on the map itself. Finally, there is also provision for the use of light cruisers as individual ships. 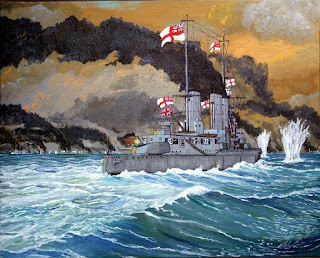 With the North Sea additions there are a number of interesting tactical and strategic scenarios including a 1906 'What if' featuring lots of pre-dreadnoughts, a 1914 'What if' when the RN and Germans had virtual parity in capital ships for a short while and two scenarios featuring the return to Germany of Von Spee and also of the Goeben and Breslau. Having been enthused by all this lot I figured it was about time I cut the counters out - 8 sheets of them - and actually used them. 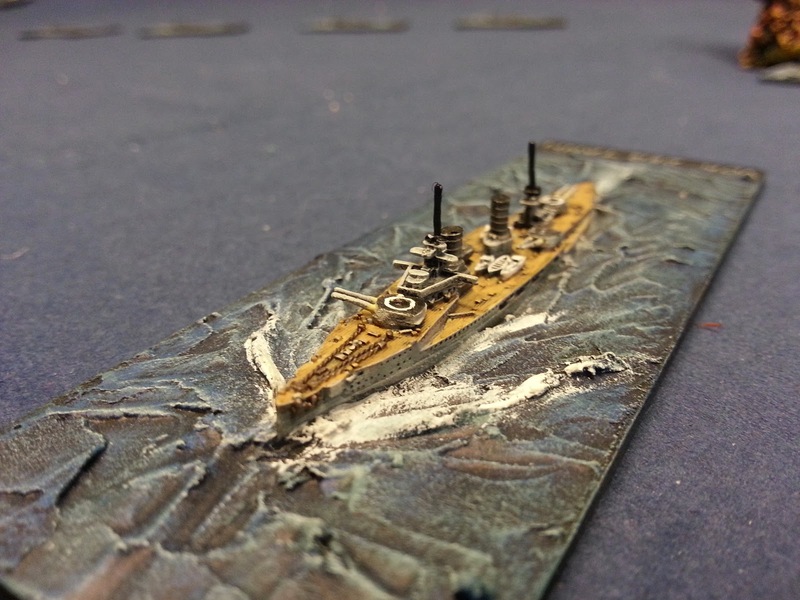 Remember that Jutland is in effect a miniatures game in a box and the counters (scaled at 1/4800th) can be readily substituted for models. A couple of things struck me whilst sorting through all this lot. Firstly, the game badly needs a playsheet - especially with the advanced and optional rules, both official and unofficial. This is something I have in hand and it will make life a whole lot easier than referring across multiple magazine articles during a game. Secondly, and most importantly, Jutland really is a naval warfare game that is 'more drama, less accounting'. In short then, perhaps I should be making use of what I have for what it is rather than trying to fashion something I have not. S.M.S. 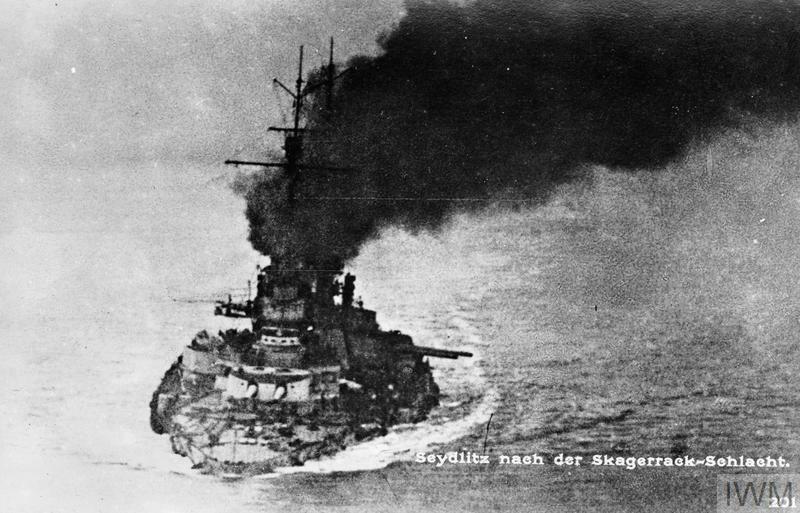 Seydlitz - battered, bloodied but unbowed, limping home after Jutland. She would spend some time in dock being repaired but was back with the fleet by November. I am truly sorry but my mind is made up. I have spent the last few days pondering a whole series of things associated with the naval rules I have been working on and however I dress it up it simply does not work in the way I would like. I have therefore decided to abandon the attempt. I enjoy Jutland the 'board' game as is and within the context of what it is trying to represent (operational squadron/fleet sized naval combat) it is a wonderful game. I shall continue to use this (and all the various expansions) as it is an old favourite with much potential. As far as 'tweaking' the rules are concerned I shall not bother as they are fine as written, subject to my oft-repeated caveat of 'context'. In attempting to modify or port certain features of the system I have learned an awful lot from all of the research I have carried out as well as trying out the various game mechanisms I have explored, so the time and effort has not been wasted. My plan instead is to revisit some old rules that were left unfinished and unloved and to 'dust them off' so to speak. These are rules that will definitely offend the purist and will also step away from the usual level of hard data that form the basis of so many sets of naval rules. This will require something of a leap of faith from myself as I have been firmly wedded to the concept of translating technical data for naval rules for as long as I have been playing naval wargames. It will be a refreshing change though, to tackle rules that are not set out to be quite so dogmatic. I thought long and hard about my recent play test and the changes I would need to incorporate in the next version of the rules. To be honest they are not many but they will make a difference. I mentioned that some of the processes were a little clumsy and so I hope that my changes have simplified things for the better. I am satisfied with movement and all that need to happen with this is a little clarification around speed changes and turning so nothing too heavy. This kind of stuff is largely self-evident so I will not stress the point too much. Firing is OK in terms of how you do it but damage allocation is the biggest problem as currently it involves some 'messy' calculations. These are OK when running a solo action but could get confusing in a multiplayer environment. I have taken a whole step out of the process in this case - it added little value - so damage inflicted will still remain at two steps (roll to hit and then for damage) but the second will be a lot more straightforward. At this stage I will look to incorporate critical hits in due course. One of the issues arising from my review of the play test concerns how ship protection/flotation values are calculated. Initially my thoughts were concerned with armoured cruisers As the playtest featured four of them) but they soon expanded to include smaller ship types. 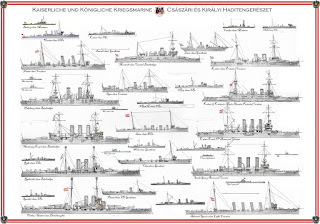 If you recall the base game of Jutland only reflected ships on an individual basis rated as CA (armoured cruiser) or larger. Light cruisers and destroyers were deployed on a combined basis so that 2 - 4 light cruisers were represented by a single counter and for destroyers it was complete flotillas. This worked well enough for Jutland but became a little too abstract when dealing with smaller ships. One of my aims was to allow for these ships on an individual basis so that lower level games had a little more depth to them. In both cases the ship record consisted of a number of boxes with each box representing a single ship in the formation. I suppose what it comes down to is how do I want my ships to be represented? 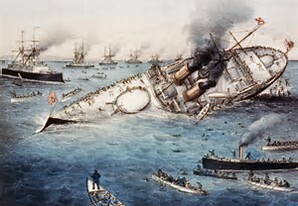 If an average dreadnought has, for example, 10 to 12 flotation points then other ships should be scaled back from this. 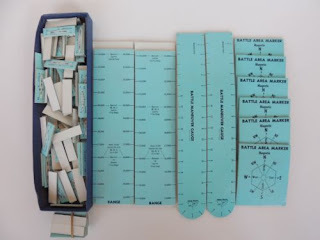 Barry Carter, in his book Naval Wargames, adopted a fairly loose approach to damage points as he applied a notional figure to a type and then adjusted for other types accordingly. He liked his battleships(WW1) to have around 1,000 points or so (damage was based on the calibre of shell hitting the target) and then scaled back to light cruisers and destroyers with the later having around 100 or so points. The point is that he was fairly relaxed about how these scores were arrived out so long as they felt right and in relation to other ship types. I must confess that being able to calculate a defence value for a ship based on a whole host of variables - tonnage, internal structural integrity, armour protection etc. - is a very difficult, if not impossible process. It is with this in mind that I am now not even going to try. Instead I will assign a notional value to a ship type and adjust classes either up or down from this benchmark depending on such factors as age, technological advances, actual historical performance etc. Selecting the baseline for these values will for the most part be a 'best guess' but I can make use of the values in Jutland (and the various additional articles etc.) and work with these as a guide. With this in mind I envisage the following protection/flotation point ranges as being representative of the ships I shall be using. I shall also refer to these henceforward as the flotation value rather than the protection/flotation value as this is more indicative of what the figure actually represents. In fact one could almost apply a similar approach to gunnery factors but that is a bridge I will fall off as and when (or even if) I get to it! The first ships of my new 1/2400th scale collection. German torpedo boats. This is not a veiled reference to the film about the design of the Spitfire - rather it is the first public showing of the new 1/2400th scale naval collection I am working on. It has been a chastening and embarrassing experience I don’t mind telling you! Sometimes you just seem to have a painting task that no matter what you do something always goes wrong. I am really pleased to have gotten these finished but the problems were many. To begin with it was the first painting project I have undertaken for a while so I guess I was a little rusty in terms of technique. The ships themselves were very easy to paint - overall black with a very light grey dry brush as were the bases but the blue I used and the varnish - despite my efforts at stirring and warming them up (I used new tins of Humbrol enamel in both cases) dried semi gloss and looked horrible. It was also the first time I had used MDF bases and I even had problems with them. Finally, the labels gave me untold problems in terms of positioning. Despite all of that though, they are at last finished and don’t look too bad after all. The naming convention I have used may seem a little strange but there is a good reason for it. 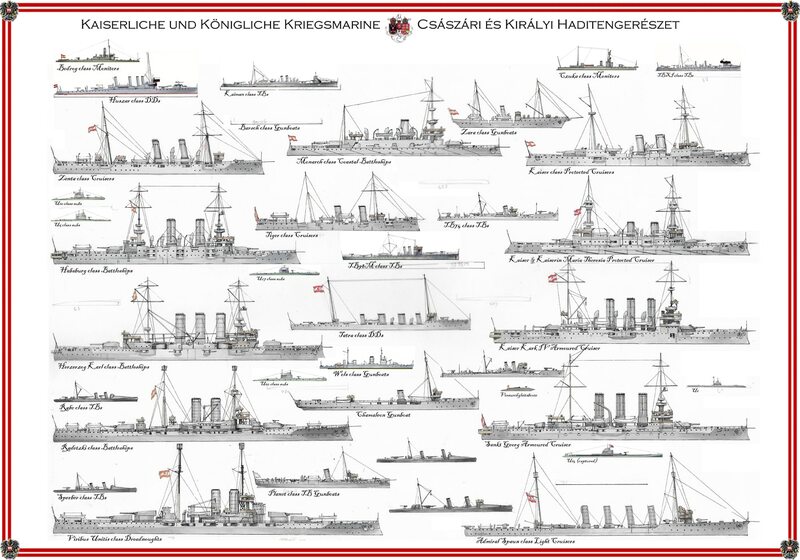 German torpedo boats prior to around 1911 all had a number rather than a name with the letter indicating the shipyard they were built in - in this case Schichau-Werke, Elbing. 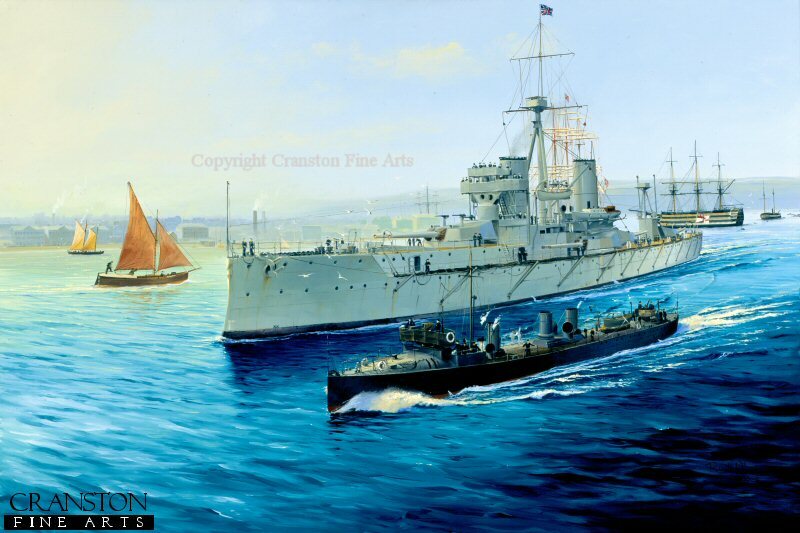 All of the early era torpedo boats were redesignated as T when the newer types came into being in 1911. I opted to call them S and T to reflect this as the number remained the same so S90 became T90 and so on. Next on the tray are the 18 B class four funnelled destroyers of the same era. Thankfully they will be a little more interesting to paint and I do not expect to have anything like the trouble I had with the Germans!